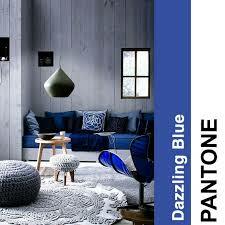 Color Trends for 2014? Are You Afraid of Making a Mistake? It’s here again; time to talk about the hot colors and trends for 2014. I don’t mean to be cynical, but frankly, it’s a little boring to me. Can I be part of the trend if I “tie a scarf” the color of the day, around the sofa? I love fashion and feel “baited” to make a change or somehow update my wardrobe and my house. The other problem is, everywhere you look the trend colors are different. I’m seeing deep, saturated dark blues and purples; the problem is what can you change without breaking the bank? I’ve been thinking of changing the colors in my downstairs and painting the living room. I thought that dark purple would be the right color to paint. Then I wondered, will I hate the color next year? I suppose if I chose the right “shade,” I will be fine. But how do you know if it’s the right shade? Of course, the designers suggest you get something small in the new color and see if you can live with it. Does that mean a trip to Target to pick up something? ( I just found out that Target had wigs!) If you’re like me, you’re really not interested in another trip to Target for one more piece of junk. Maybe it’s time to “think in a new box” and make a major change. That’s what I’m thinking. There are only three primary colors; red, blue and yellow. Every other color in the spectrum in made from these three. Once you start mixing them together, the secondary colors are green, violet and orange. These are mixtures of two primary colors. If I’m making green, I’ll mix yellow and blue. If I use lots of blue, it will be very “blue green,” more yellow will make it “yellow green.” I will have to decide which one I like the most—yellow-green or blue -green. Of course, you can add “gray” which will tone any of the colors down or white, which will lighten the colors. With that in mind, it’s time to make your choices. So if I’m choosing violet or purple, I need to decide whether the purple will be more “red” or “blue.” More on choosing color. Choosing clothing is pretty much the same thing. I love when the new fashions come out. I still think red shoes are hot; yellows are cheerful and you can’t do wrong with black patent, two-tone shoes. Last year, royal blue was the color. I bought everything I could find; I loved it. I bought so much of the color it got tiring. Instead of throwing everything out, this year I was lucky to “pair” it with another “bright “color. They call this “color blocking.” Will I be able to “color block” the sofa next year? That’s beginning to sound tricky. Don’t want to make a color mistake; here are some guidelines. Thinking the color your friend has will look the same in your house. It’s like thinking your friend’s lipstick will look great on you without looking at your hair and skin color in mind. If you like the color enough, get a small amount and paint it on your wall and live with it awhile. You’ll know if you like it. Don’t ignore lighting. As you live with the color, what does it look and feel like at different times of day with changes in lighting? Do you like it in the morning natural light? What is it like in the evening when you turn on the lamps, do you still like it? Don’t choose the color and match everything else to go with it. I think this is where the expression, “painting yourself in the corner comes from.” There are hundreds of paint colors to choose from, start with other things you want to keep for the room and coordinate the paint colors around them. Don’t worry, if you miss this year’s hot color, s there’ll be more next year. 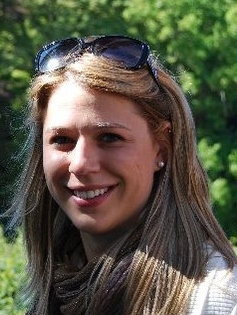 Lisbeth Calandrino is Associate Publisher and Director of Social Media at Fabulous Floors Magazine. Creating a niche in the flooring industry isn’t exactly easy but every so often, something new comes along. So it is with a two year old company called TileCircle.com. Behind Tile Circle is the creator, Kelly Akehurst. Every so often a business comes along that has a real niche. Kelly has a good eye for the unusual and realized there was a void in the high end tile industry. Her thought was to create affordable, handmade mosaics with one of the specialties in mother of pearl. The handmade mosaics are designed by designers with over twenty years’ experience. Her customers range from architects, interior designer and consumers who are specifically looking for mother of pearl. Her products are mosaics and not all are mother of pearl, but it certainly is a niche. The other niche is Kelly’s online sales. Kelly never wanted to be in the brick and mortar business so she built her business online. One doesn’t have to look very hard to realize that the online business is high growth. At this point Kelly sees no reason to develop this end of the business. One of the other unusual things about Tile Circle is their customer service. If you go to their page and look for testimonials, you will be amazed at how many people rave about Tile Circle’s customer service. Samples are sent out immediately and received by the customer within days. Kelly also promotes the “personal touch” by meeting with architects and interior designers helping them specify and understand how to install her products. Customers are buying directly from the manufacturer with no middleman. This makes the products price more reasonable and connects the customer to the source. If the customer requires individual help, it is available directly through Kelly or her team. In February 2014, TileCircle.com was awarded the “Best Of Houzz” by Houzz. Houzz is the leading platform for home remodeling and design. The online tile specialist was chosen by the more than 16 million monthly users that comprise the Houzz community. The Best Of Houzz award is given in two categories: Customer Satisfaction and Design. Customer Satisfaction honors are determined by a variety of factors, including the number and quality of client reviews a professional received in 2013. Design award winners’ work was the most popular among the more than 16 million monthly users on Houzz, known as “Houzzers,” who saved more than 230 million professional images of home interiors and exteriors to their personal idea books via the Houzz site, iPad/iPhoneapp and Androidapp. The TileCircle.com has a “Best Of Houzz 2014” badge on their profile, showing the Houzz community their commitment to excellence. These badges help homeowners identify popular and top-rated home professionals in every metro area on Houzz. What does Kelly see for the future? Kelly continues to see the future as a continued focus on design, customer service and building company culture. “At Tile Circle we are continuously working on new designs. This spring we will introduce our new interlocking marble mosaic pattern collection which has been designed so that you cannot see where one tile begins and the other ends. It’s quirky and fun”, Kelly says. On the top of Kelly’s list is to continue to build a flexible, fun company for her partners and employees. She believes that happy and great employees are at the core of her business. Kelly can be reached at 212-920-4601.